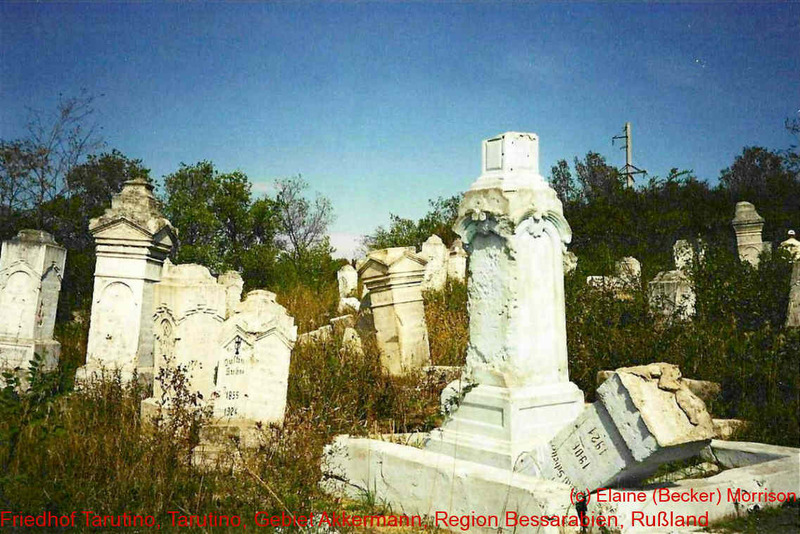 The TARUTINO CEMETERY's location, when established in about 1814, was adjacent to the German settlement then known as Tarutino, Akkerman, Bessarabia, South Russia. Tombstones in this German section of the TARUTINO CEMETERY were stripped of all valuables and generally neglected by the local residents that remained there after 1940. This practice was almost universal throughout south Russia after the Germans were no longer welcome there.